Hello, my name is Mary Worley, owner/broker of Dexter Realty and Appraisal Services. I was licensed as a real estate salesperson in 1974. Co-founder of Dexter Realty September 1, 1976. After graduation from the University of Missouri in 1959, I came to my husband’s (Ron Worley) hometown. We purchased farm ground and began a lifelong endeavor of farming, raising Charolais cattle, breeding quarter horses and also miniature horses. Only farming and the miniature horses have continued. Community involvement and leadership has always been important to me. I was a Charter member of the Stoddard County Board of REALTORS® in 1976. As such, I have been a continuous member of the National Association of REALTORS® and the Missouri Association of REALTORS®. Professional development and education has been pursued as an important attribute. In 1988, I attained the credential of Certified Residential Specialist – the highest designation in the residential sales field. I am a member of the Dexter Chamber of Commerce and was recognized as the Woman of the Year in 1980. I also hold the designation as the organization's the first female president. I am a 50-year member of the First Christian Church (Disciples of Christ). Recognizing the changing opportunities in real estate, I also became a licensed real estate appraiser. In 1992, I achieved the license as a Certified General Real Estate Appraiser and recently a Certified Marshall & Swift Appraiser. I welcome the opportunity to assist you with my knowledge and experience in all your real estate needs – selling, buying, and/or appraising. Ready to help meet all your real estate needs, you can’t go wrong when you invite me to be your Realtor. 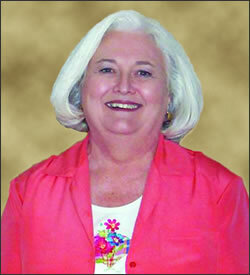 Dorothy started her real estate career in December, 2001 and has been affiliated with Dexter Realty since March, 2009. She worked in real estate part-time until she retired after 32 years as secretary/bookkeeper with MFA Agri Services in Bernie, Missouri. At that time, she concentrated full time in the real estate business and has been very successful. 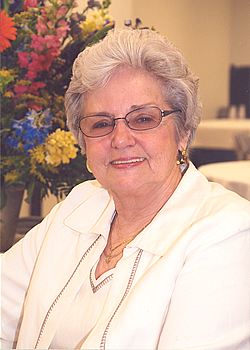 Graduate of Independent Career Institute of St. Louis in 2001. Takes pride in her work and cares about her clients and customers! She invites anyone with real estate needs to give her a call at 573-624-5596 or 573-820-3930. I am a member of the National Association of Realtors and the Missouri Association of Realtors. I understand what is important to you, your family, and your home and it shows in my commitment to my clients. I have been married to my wonderful husband, Garry, for 36 years, and we have two daughters who have blessed our lives with three beautiul grandchildren - two girls and one boy whom I love dearly. My commitment to all past, current, and future clients is simple - let me assist you with buying or selling your home, and I will dedicate the time and effort to get the job accomplished for you.